Through Proclamation No. 154, President Noynoy Aquino has declared June 20, 2011 a special non-working holiday. 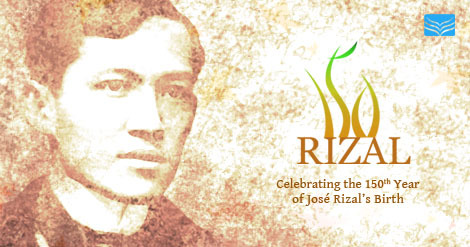 It is the Philippines National Hero, Jose P. Rizal 150th Birthday. I don’t have any updates on the events for his birthday. Meanwhile, I follow this Twitter personality @parengjoserizal and obviously, we know for a fact that he’s fake, but his tweet is worth one to follow, because his political and social thoughts are just like the real Dr. Jose Rizal. Thanks Dr. Rizal for teaching us that pen is powerful than sword as to blogging in this advanced genre. Rizal’s birthday, June 19 falls on a Sunday this year but the National Historical Commission of the Philippines requested the holiday to be moved on June 20 (Monday). NOW, THEREFORE, I, BENIGNO S. AQUINO III, President of the Philippines, by virtue of the powers vested in me by law, do hereby declare Monday, June 20, 2011, as special (non-working) day throughout the country. Done in the City of Manila, this 26th day of April, in the year of Our Lord, Two Thousand and Eleven.